The battle belongs to the smart. Every move in the game of chess is a battle-move, just like every move in our lives. 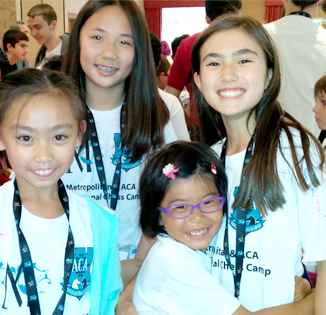 With ACA After-School Enrichment Program, you get the early-mover advantage – a must for winners today. Build critical-thinking skills, self-confidence and sportsmanship with our After-School Enrichment Program. At ACA, we believe learning should be fun, especially when it comes to learning a serious game like chess. Our curriculum is designed to impart the many benefits of learning chess such as critical thinking, sportsmanship, and learning from mistakes in a challenging and exciting way. In addition to lessons and traditional gameplay, we incorporate variations of chess games that build teamwork and foster a genuine enjoyment of a game over a thousand years old. Right from the general rules of play to advanced tactics and strategy, our program is designed to teach not only the experienced player, but also the interested beginner. Helps to build student’s logic, memory and pattern recognition. Cultivates problem solving ability, analytical skills and critical thinking. Increases visualization and imagination capability. Improves math and reading skills. Teaches good sportsmanship in a group environment.